The United Nations Institute for Training and Research (UNITAR) anticipated the flooding. 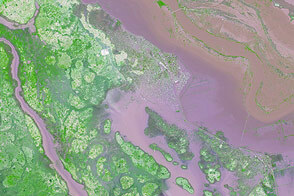 On January 29, the institute reported that flood water had reached the northern edges of Xai-Xai; that the airport was inundated; and long stretches of roads had been flooded. 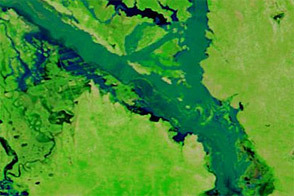 UNITAR reported that the high water on the Limpopo—which had already inundated Chókwé—would continue to drain southward. Flood waters were not confined to the lower Limpopo River. According to Voice of America and other news sources, flooding also struck the Zambezi River in northern Mozambique, as well as parts of Zimbabwe, Botswana, and South Africa. On February 2, Agence France-Presse reported that the death toll in Mozambique had reached 68, and the estimated number of people affected ranged from 180,000 to 250,000. News sources compared the current flood levels to those seen in the year 2000, when severe flooding claimed several hundred lives. NASA Earth Observatory image by Jesse Allen and Robert Simmon, using EO-1 ALI data provided courtesy of the NASA EO-1 team. Caption by Michon Scott. 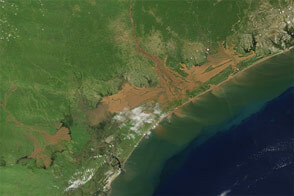 Acquired January 31, 2013, this image shows flood water surrounding the city of Xai-Xai in Mozambique. Powell, A. 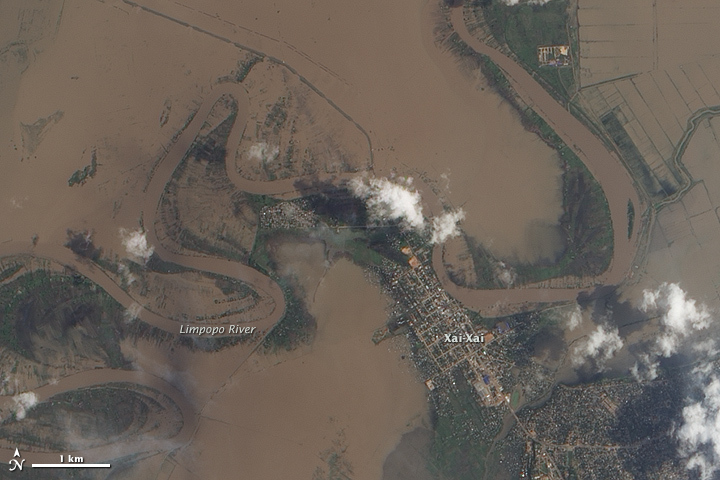 (2013, February 1) Deadly floods hit Mozambique. Voice of America. Accessed February 4, 2013. UN Country Team in Mozambique. 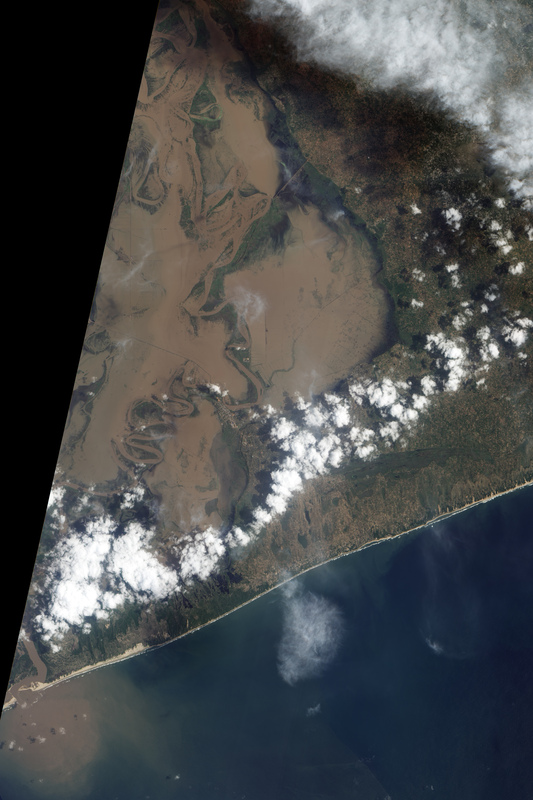 (2013, February 2) Floods in Mozambique: 1800 people rescued in Zambezia Province. ReliefWeb. Accessed February 4, 2013. UNOSAT, International Charter. 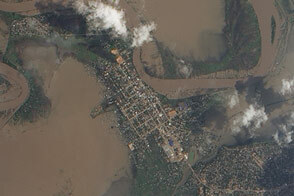 (2013, January 29) Floods over Xai Xai City, Gaza Province, Mozambique (as of 29 Jan 2013). ReliefWeb. Accessed February 4, 2013.